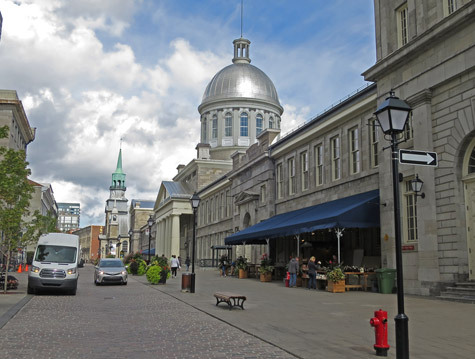 Bonsecours Market is an attractive city market located in Old Montreal. Completed in 1847, the neo-Renaissance building was once used as Canada's Parliament. The building was later transformed and used as Montreal's agricultural marketplace. Today, it is home to shops, cafes and exhibitions. Bonsecours Market is located on Rue Saint Paul which runs parallel to the Saint Lawrence riverfront. Place Jacques Cartier, the most elegant square in Old Montreal, is located nearby.